University of Washington Press, 9780295995502, 312pp. The plaque said this was the winter fishing hut of Thur dur Einarsd ttir, one of Iceland's greatest fishing captains, and that she lived from 1777 to 1863. "Wait," anthropologist and former seawoman Margaret Willson said. "She "
So began a quest. 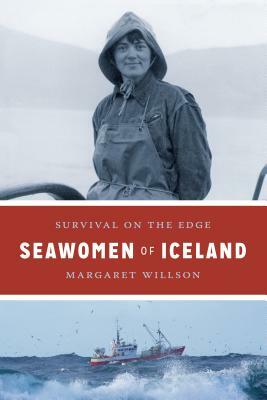 Were there more Icelandic seawomen? Most Icelanders said no, and, after all, in most parts of the world fishing is considered a male profession. What could she expect in Iceland? She found a surprise. This book is a glimpse into the lives of vibrant women who have braved the sea for centuries. Their accounts include the excitement, accidents, trials, and tribulations of fishing in Iceland from the historic times of small open rowboats to today's high-tech fisheries. Based on extensive historical and field research, Seawomen of Iceland allows the seawomen's voices to speak directly with strength, intelligence, and - above all - a knowledge of how to survive. Margaret Willson is affiliate associate professor of anthropology and Canadian studies at the University of Washington. She is the author of Dance Lest We All Fall Down: Breaking Cycles of Poverty in Brazil and Beyond.